HTV Zing Help: Not cutting around corners well. I finally have been able to cut HTV with my Zing, however, it seems that it is not cutting well around corners. Below is one design I cut and you can see that it tears. I have another "wordy" design that is giving me the blues. I can't keep wasting this vinyl. I do a test cut and that comes out fine. When I do the designs I can't weed some parts without tearing. I am using the eclipse with roland blades as I can't get the original to cut without the blue blade. Attached are pictures and the original designs. New Zing Orbit user. Using MTC since 2008. Learning SCAL Previous Cricut and Silhouette owner. "The default Blade Offset of 0.25 should work well for the majority of your cutting with the included 45˚ red capped blade (for red capped blades purchased before November 2013, use 0.35)." So I would suggest you change your offset to .25 and test, and then to .35 and test if the .25 does not work. Maybe slow the speed just a tad. And increase the pressure just slightly to around 40. Ensure that the tip of blade is barely felt let along visible by the naked eye. I am using the Roland blades and the Eclipse blade holder, as I could not get my Zing holder to work with the red blade it came with. I did try the pressure at 40 and it cut through the entire vinyl. What worked better was BO at .30, Pressure at 35 and speed at 12. 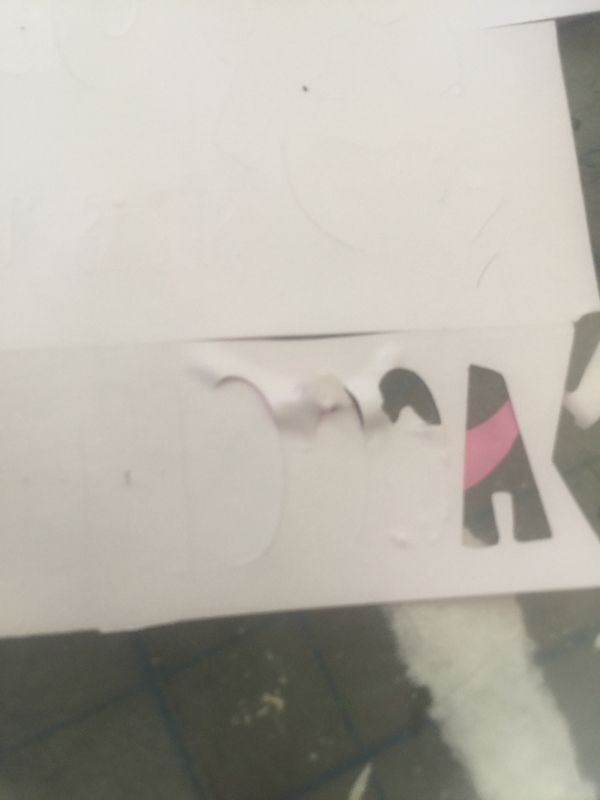 I am really struggling because I really don't want to test each and every time I cut something that I cut before. Just a week ago I cut something out with the same vinyl with settings BO .30, P 30 and speed 12 and it worked. Why wont those same settings work? The only difference is that it was simple design. How do you test a more complicated design without wasting vinyl? I test with the shape that Sandy recommends. This is the most frustrating. It should not be this difficult. I find (with the Force) that once I have found the settings for a particular material the only change I have to make is in the pressure to adjust for when the blade is not quite as sharp. 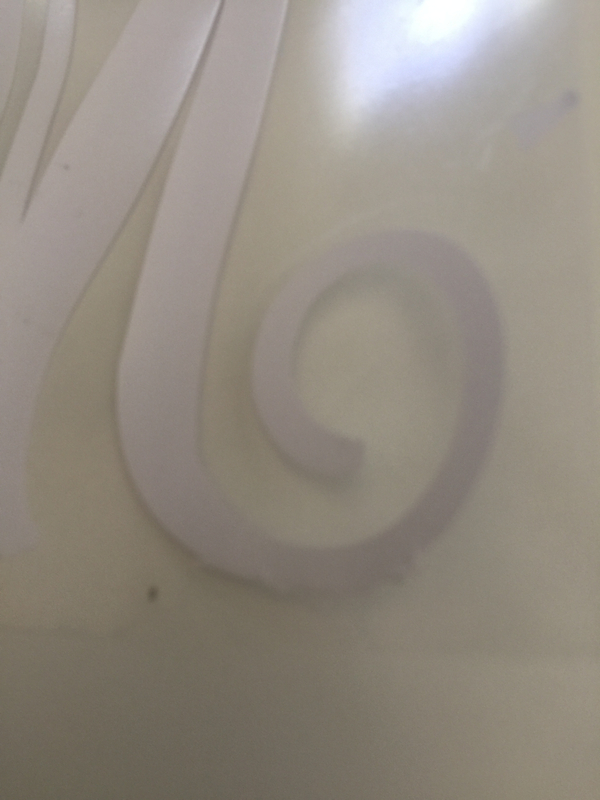 When cutting vinyl I use as little pressure as possible with as light a touch as possible. When testing I use a circle in a square to make sure it can handle all directions and angles. This test cut is usually abut 1.5" so uses the minimum of material. Hope this helps - you need a Zing user to confirm or explain otherwise if it is different from what I have described. It's hard to say what might be the issue since so many things can cause tearing. But if it was working a week ago, then that suggests you're doing everything correctly and these are optimal settings for the material. Thus, I would be inclined to make sure the blade is still freely swiveling in this blade holder you're using. Check to make sure a small piece of material didn't get caught up inside the holder. Also, try a different blade, just in case it got damaged somehow. @SandyMcC how do I check the blade is freely swiveling? One way is with your finger... just make sure you don't cut yourself. Put your finger on the tip and gently rotate the blade and make sure it seems to freely move. It might also be possible to watch it at a slow speed on the cutter, like with a spiral shape so that it's needing to swivel a lot. But I've never tried that. Since your Zing Orbit is new, I would contact KNK about your ZO blade holder if you feel it's faulty. There's no problem using the other brand... it's just that I hate to see you not take advantage of having the ZO one included with your new cutter.